The following text was contributed by the Government of Armenia. The strengthening of effective and accountable governance system is among Armenia’s top priorities, which is in the Government’s constant spotlight. By joining the OGP initiative Armenia once again expressed its willingness to ensure more transparency and accountability in public administration and public services. The OGP is an excellent opportunity to make governments more open and responsible, and have such institutes that will promote citizens’ active participation in decision and policy making processes. 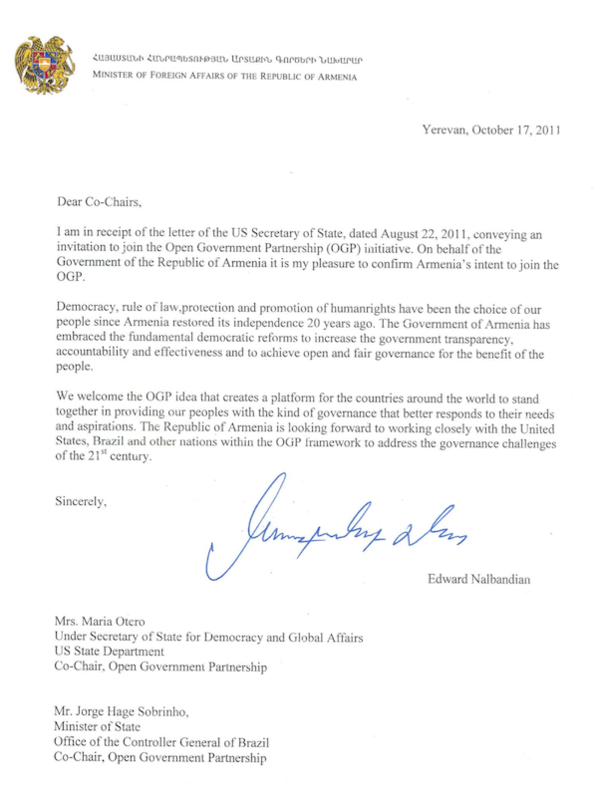 Armenia’s engagement in the OGP initiative is especially remarkable due to the active participation of civil society. In the last decade, perhaps, Armenia has not witnessed such a large scale civic engagement as it did while drafting the OGP/Armenia Action Plan. 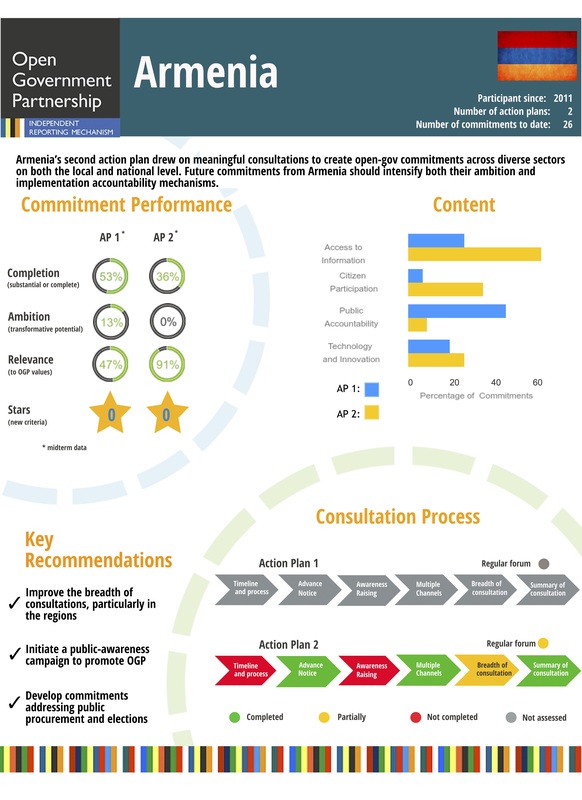 In January, 2012 a working group was set up by the Armenian Prime Minister’s decree to draft the OGP/Armenia Action Plan. It is noteworthy that in the drafting process of the Action Plan representatives from state agencies and civil society were equally involved in the working group. The key provisions of the Action Plan are mainly aimed at improving efficiency, transparency and accountability of the public administration system. Due to the realization of the OGP/Armenia Action Plan commitments today Armenia has achieved an increase in effectiveness of public resource management, further development of its E-Government system, more improved and transparent internal audit, tax administration and public procurement systems, more qualified and improved public services, etc.